Meet my Azure Socks, everyone! 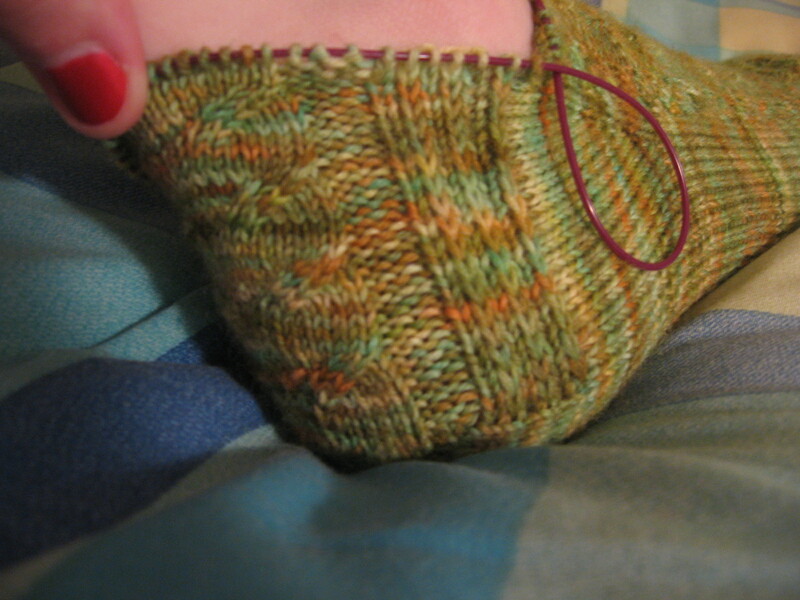 Now, I have 2 heels, and just have to do the leg and cuff. VICTORY! I am in love with them. I also have the urge to knit EVERYTHING with Ranco. I cannot believe how beautiful it is. The colors are glorious and look beautiful together. I was expecting stripes, but the distribution of the colors is amazing and I’m glad it is variegated, rather than striped. The pictures aren’t that great, BUT. 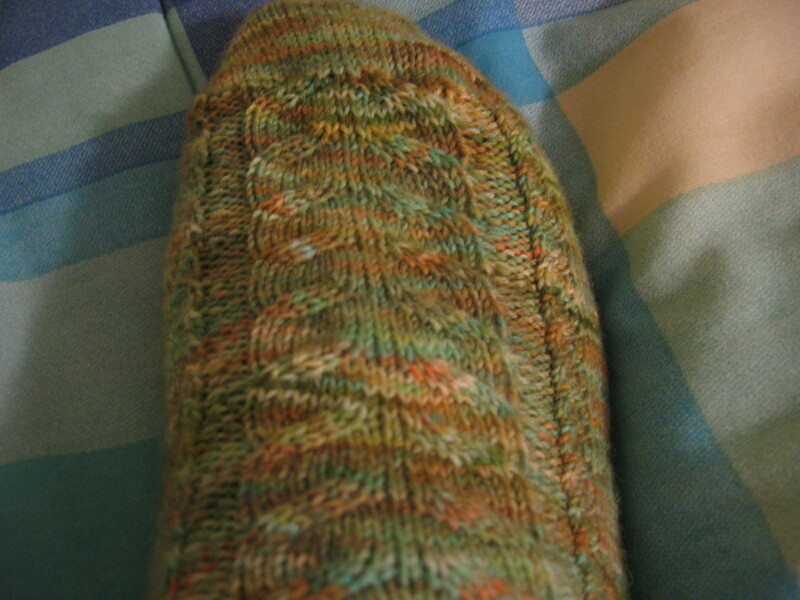 The socks themselves are amazing and coming along nicely. 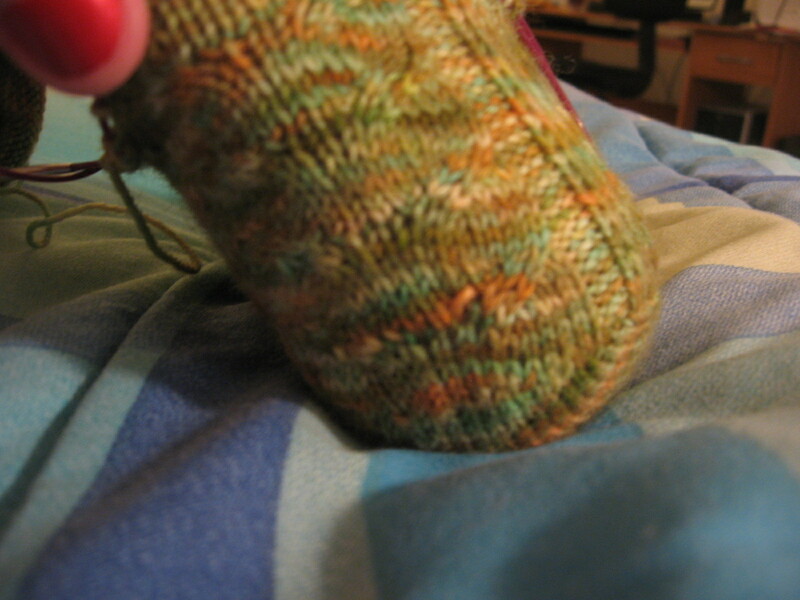 I’ve been seeing a lot of cardigans on Ravelry that I want to knit, but they all involve seaming. Curses! I could probably adapt the pattern for raglan sleeves, but we’ll see.